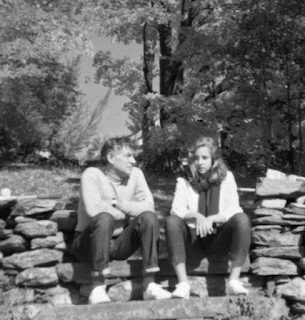 Erica Miner: Traveling the US narrating your Bernstein Beat concerts, you encountered many musicians who have “a personal story to tell” about your father: “a moment when they’d had a meaningful exchange…that they never forgot.” For me, working with him at Tanglewood and the Met Opera were life-changing experiences. Do you still get this kind of reaction and sentiment from musicians you meet now, or are we all getting too old? 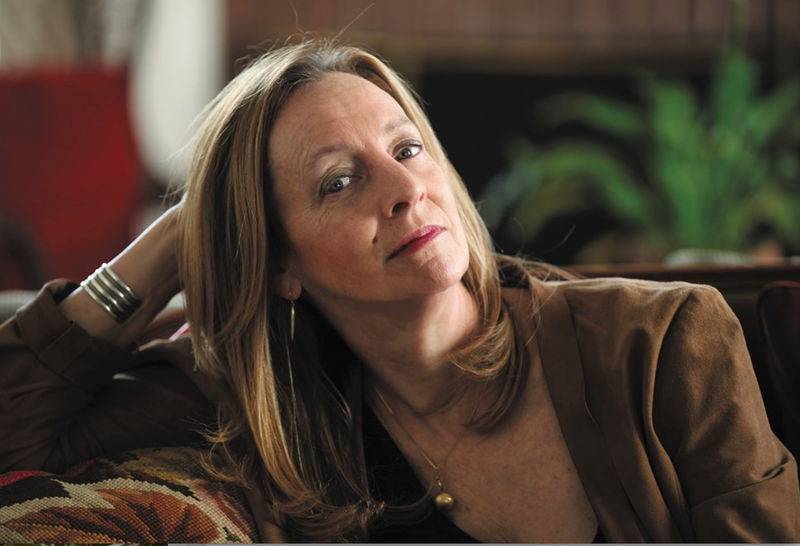 Jamie Bernstein: No. More now than ever. Everywhere my brother, sister and I go—and of course we’re traveling so much this year—people come up to us, both in the audiences and in the orchestras. I cannot tell you how many of them have that same thing to say. “I had this conversation with your father and he made me feel like I was the only person he was interested in, in the world. We had this incredibly meaningful exchange and I never forgot it.” Or they say, “It’s because of the Young People’s Concerts that I am in this audience—in this orchestra— today.” Over recent years, I began to grasp the degree of impact my father had for so many people who are music lovers or musicians. I think that to this very day, a significant percentage of the butts in seats in concert halls are there because they got their start with Young People’s Concerts. Honestly. And of course they’re dying out now, winnowing down, and not being replaced. In the 60s, 70s and 80s these gigantic concert halls were built and now they can’t fill them. I don’t know how this is all going to shake out eventually, but it’s quite a problem. EM: There’s nobody who can quite replace your dad. JB: That is true. Even if a conductor came along who was as good as he was—Gustavo Dudamel, or Yannick Nézet-Séguin, fabulous conductors, but they’re not also educators, composers, activists and all the other things my father also was simultaneously. The simultaneity is what’s hard to replicate. EM: Also his magnetism and charisma were just unique. I always tell people there was only one Lenny. But there’s a good chance today’s young people can carry on his legacy. For example, when I was in San Francisco in 2013 to hear West Side Story with Michael Tilson Thomas, I got to talk to a lot of the young people in the cast. When I told them I actually had worked with your father, they practically bowed down to the floor. EM: They said, “You actually knew him?” So I have a feeling he’ll just live on, and his impact will carry on with the next generation who love and revere him. I’m hoping so. JB: I’m hoping so, too. EM: Toward the end of the book, you write, “But nothing conveys Daddy’s deepest essence better than his own music.” Perhaps an unfair question, but can you name some of your own personal favorites among his compositions? JB: Oh! The problem with this question is that it changes depending on what I just heard. Just a couple of hours ago I was at a coaching session in this Songfest program I’m participating in this week in LA, and this very young singer was being coached in Zizi’s Lament. The most fabulous little song, so ingenious. It’s a Gregory Corso poem, which is also divine, edgy and funny. I’m sitting there thinking, “Oh my God, this is one of the best songs my father ever wrote.” But that’s just ‘cause I heard it two hours ago [Laughs]. Last week I heard Serenade and thought, “This is really the best of all my father’s symphonic works.” Every time I hear that piece I love it more. But when it comes to evoking the totality of my father, you have to look at Mass. Precisely because Mass is so “kitchen sink-y.” It has so many bells and whistles and different flavors all mushed together that evoke my father in such a holistic way. Also I was really the right age when he wrote it, so I went through his experience of writing it. I think he had his kids so much in mind when he composed it. That’s why he put in all the rock music. It was just so much of its time and for our time. I have a really big relationship to Mass. What about Prelude, Fugue and Riffs, which you don’t hear that often? It’s so cool. It goes by in a blinding flash, about 11 minutes long. EM: And West Side Story. I’ve read that not a day goes by that it is not performed somewhere in the world. JB: It may very well be true. It gets around. in other ways, too because of the movie. It’s really that movie that put Leonard Bernstein in the mainstream. These days young people don’t really know who he is anymore unless they’re in music. But they might have seen West Side Story, the movie. That’s partly why the centennial comes at such a wonderful moment; why it’s this precious, unrepeatable opportunity for my brother, sister and me to remind the world who he was, and to introduce him to young people. And good for West Side Story, because really it does not get old. It’s amazing. EM: It is. First of all, the music, which nobody can sit still while they’re listening to. Also the socio-political atmosphere and the connection to what’s going on right now. JB: It’s as relevant as ever. EM: If not more so. I’m always struck with the courage it took to bring up those issues at that time. They’re still scary. JB: Yes! For starters, Shakespeare’s Romeo and Juliet hit on some themes that never get old. Intolerance, hatred, that part of human existence never seems to subside. Updated in West Side Story was a way of thinking about it that stays super relevant for us in this century and the last. I just saw a concert version with the Philadelphia Orchestra back in the fall, with Yannick Nézet-Séguin conducting. When they were doing the song, America—this was just after all the hurricanes—they sang, “Nobody Knows in America, Puerto Rico’s in America.” He stopped the orchestra dead and just let that line hang in the silence. The audience went [Gasps]. Then there was applause. It was really something. Quite a moment. JB: That was a line that Sondheim added for the movie and wasn’t in the original. But it was a good addition for sure. EM: I think they may have made more changes in that song that almost any other. JB: They made a ton for some reason. Part of it was they decided to make it for not just the girls but also the guys. EM: Anything Sondheim does is so brilliant, it doesn’t matter what it is. JB: No matter how it goes, if he did it it’s going to be okay. EM: Of the many celebratory events paying tribute to your father’s centenary, which are most significant for you? JB: Oh my gosh, where to begin. I made a film documentary, Crescendo—the Power of Music, about El Sistema, the youth orchestra for social change from Venezuela, coming to the US. I got very immersed in that. As a result, I would up going to a lot of youth orchestra concerts. Over the years I found myself having a lot more fun at concerts by youth orchestras than with professional orchestras. I just like the energy better. This year I’ve had the opportunity to hear a lot of young people in youth ensembles performing Bernstein music. Honestly, that is my favorite thing. When I was in Tucson, Arizona, a high school did Chichester Psalms, just with piano, harp and percussion. It was so touching, so beautiful, I was just awash, a mess of tears. Not the most perfect version I’ve ever heard, but the heart of it. Afterwards all these kids came up to me for hugs and selfies and to talk about how much they’d fallen in love with my dad’s music. Kids who didn’t know anything about him. Their choral teacher, who’s a genius, got them all excited, really brought them up to speed. Chichester Psalms is not easy—that’s another favorite, by the way, it’s just wonderful. These kids got into it, gave it their utmost, really pulled off this very challenging music, and had just fallen in love with the whole thing of it, the whole Bernstein of it, and that was for me the most gratifying possible experience. There’s been a lot of that sort of thing. I took the Bernstein Beat to Sevilla, Spain, en Español with two youth orchestras combined into one. It took a lot of rehearsal, and the conductor had to work them really hard, but they were fantastic. They so loved the music. It has so much energy in it, all that rhythm and exuberance. Young people love it. It really speaks to them. It’s perfect for kids. They just threw themselves into it. That’s been my ongoing favorite experience so far this year. EM: Jamie, thank you so much for spending this time with me. This has been such a pleasure. Kudos on Famous Father Girl, and I wish you the best possible success. JB: Thank you for asking really good and fun questions. 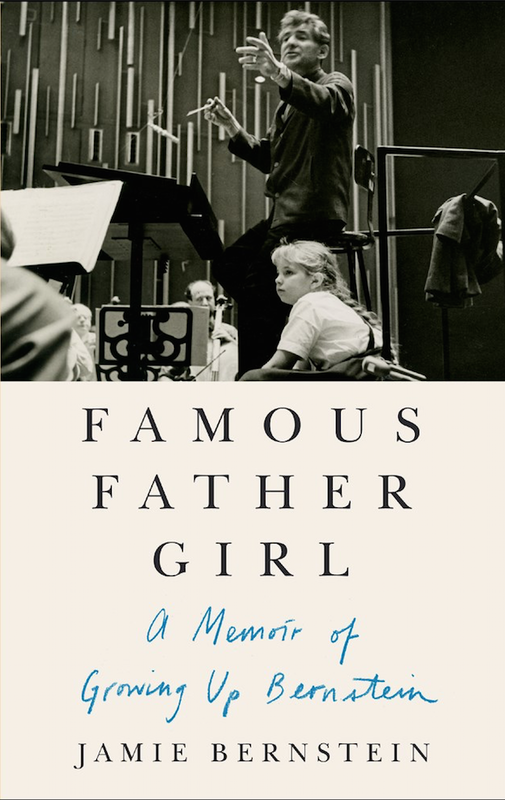 Jamie Bernstein’s Famous Father Girl: A Memoir of Growing Up Bernstein releases on June 12.